“Although the chance of a disaster to planet Earth in a given year might be quite low, it adds up over time, and becomes a near certainty in the next thousand or ten thousand years. “By that time, we should have spread out into space, and to other stars, so a disaster on Earth would not mean the end of the human race. Though it would seem counterproductive for such a well-respected scientist to decry scientific progress as humanity’s most existential threat, this isn’t the first time Hawking has advised us to exercise caution, as Anti-Media has reported several times. Last summer, the theoretical physicist was among over 1,000 artificial intelligence experts who signed an open letter about the weaponization of robots and the ongoing “military artificial intelligence arms race” among the world’s military powers. In October of last year, Hawking warned scientists at the European Center for Nuclear Research (CERN) about the potential for the Higgs Boson “God Particle” to initiate “catastrophic vacuum decay” — the formation of a quantum bubble that expands at the speed of light and could decimate the entire universe. Concern over the automation of the world’s workforce coupled with capitalist greed also earned the scientist’s stern alarm. Despite the numerous cautionary scenarios Hawking has proffered, he claims society will likely discover the means to cope. “We are not going to stop making progress, or reverse it, so we have to recognize the dangers and control them,” he stated. “I’m an optimist, and I believe we can. “It’s important to ensure that these changes are heading in the right directions. In a democratic society, this means that everyone needs to have a basic understanding of science to make informed decisions about the future. 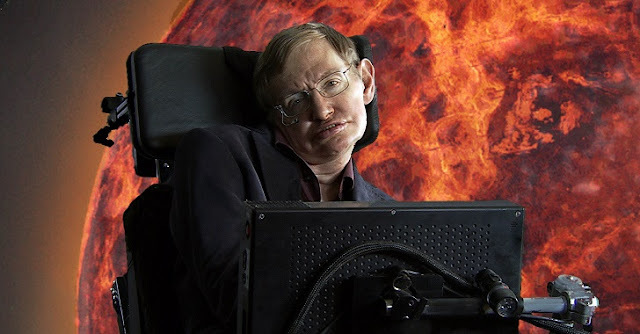 The BBC will broadcast this first lecture with Stephen Hawking on January 26 and February 2. It will also be found online here. This post was republished from collectivelyconscious.net. You can find the original post here.